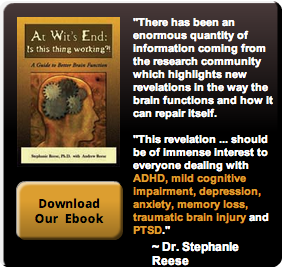 Resolve to make your brain better in 2013! Guilt-ridden from overindulgence during the holidays, we’re eager to make New Year’s resolutions. The most common resolution everyone seems to make is to get in better physical shape. But what about your brain? Doesn’t it deserve a resolution or two? After all, your brain works 24 hours a day, 7 days a week, and 365 days a year. 1. Learn to breathe. Breathing is one of the single most important things you do. It feeds your brain and body with oxygen. Learn how to do it right. 2. Eat right. Remember the food you eat feeds your brain. Make sure that you don’t feed it chemicals, preservatives or empty calories. 5. Learn more about your body. Make an appointment to check for allergies, nutritional issues, and any other problems that might get in the way of reaching your goals. 6. Take on a new mental challenge. Learn a language, play a new game—just make sure that it’s a new experience. Playing the same game over and over doesn’t Challenge your brain. Your brain thrives on novelty. In fact, novel and challenging activity which helps your brain to create new brain cells and connections—and makes you smarter! 7. Rewrite your goals everyday and Visualize yourself in a better state: your body and life will follow. Old habits and old thinking won’t help you with new resolutions. 8. Change your environment to help you with your goals. Throw out all the fudge left over from the holidays and make it easier to make healthy choices. 9. Find a good neurotherapy center to help you tune up and improve the brain you have. It might be the best investment you can make in yourself and your overall quality of life. Contact BrainAdvantage today to improve your brain for the new year! Aging brains slow down just as aging bodies do, but growing research indicates that people can influence the way their brains age. A new study finds, a brisk daily walk may do more for you than puzzles.